Decorating your Thanksgiving table can be so much fun. There are so many beautiful ways to adorn your table to really make a holiday impact. One of the best ways to make your Thanksgiving table stand out is to make use of the many beautiful decorative elements you can find in nature during the fall months. These five natural ways to decorate your Thanksgiving table will help you create a wonderful holiday centerpiece your guests will love. Create a rustic centerpiece for your Thanksgiving table using wood as your base. Whether you choose rough-cut wood slabs with natural bark around the edges or stained wood accent pieces, this rustic decorative element will instantly add warmth to your Thanksgiving table. In addition to using wooden pieces as the basis for your centerpiece, also consider adding branches and twigs to your floral arrangements or as long accent pieces on your table runner. Fall is filled with so many beautiful colors and most of the season’s brightness is found in the leaves on the trees. To add natural warmth to your Thanksgiving table this year, head outside and pick some fall leaves to add to your tablescape. You can scatter the leaves on your table for a rustic, natural look or add a selection of different colored leaves to your centerpiece arrangement to bring the beauty of fall indoors. Chrysanthemums are a staple of fall, making them a great option for your Thanksgiving table. In addition to the lovely smell they’ll bring to your dining room, using mums in your Thanksgiving centerpiece will add a natural pop of color to your table. Mums can be found in a variety of colors, so you’re sure to find a shade to match your Thanksgiving décor. Although acorns are small, they can make a big impact on your Thanksgiving décor. There are so many ways you can use acorns on your table. These tiny nuts are great for scattering along the table for a rustic touch, or you can add them to the bottom of your centerpiece’s vase as an accent to the flower arrangement. You could even use them to prop up your place cards or adorn your napkin rings. No fall display would be complete without some fun pumpkin accents. While you probably don’t want to adorn your Thanksgiving table with large pumpkins, a handful of miniature pumpkins or gourds would make a lovely accent to your dining room décor. Consider using a variety of shapes and colors to really make an impact this Thanksgiving. 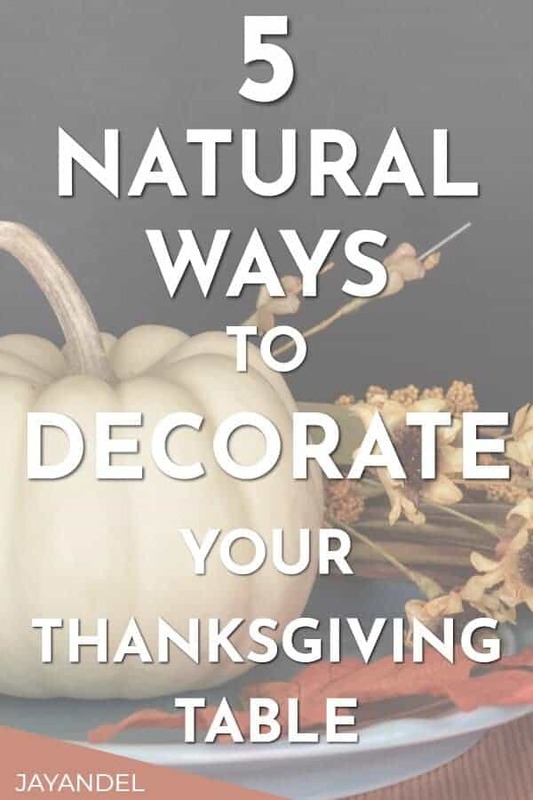 How will you be decorating your Thanksgiving table? Please do share with us in the comments below! Follow us on PINTEREST for more Thanksgiving Tips!